Back-Rest Rest Positions by Screw System. 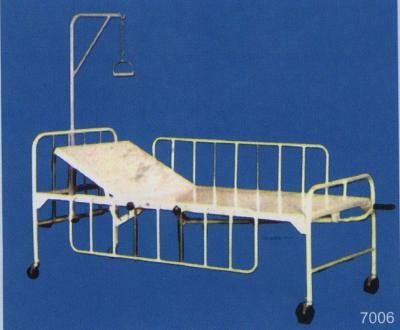 Trolley Type Base and main Frame Made of Strong. M.S. Bows at Head and Foot-End.Drop side railing on both side.